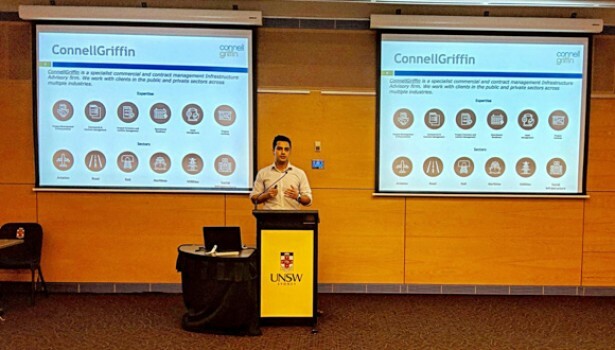 Last week our undergraduate consultant Sep Zarrin delivered a presentation about his rewarding experience working for infrastructure advisory consultants ConnellGriffin Pty Ltd at the UNSW Civil Engineering Industrial Training Information Night. Special thank you to CEVSOC UNSW for organising the event! If you are interested in hearing more about our exciting career opportunities as part of ConnellGriffiIn’s Undergraduate and Young Professional Program, we will be at UNSW on 12 April from 1-2pm at Central Lecture Block, Theatre # 2.